Energize and cool down in the shower - and let the bracing scents of rosemary and lavender – give you clarity and quiet. Weleda Arnica Sports Shower Gel is a perfect exercise partner – the kind that complements and rewards your efforts. Fragranced with the mind-clearing and focusing essentials oils of rosemary and lavender, this energizing gel is just what your body and mind need. Stimulating fragrance, refreshing; cleanses gently. Dermatologically tested. 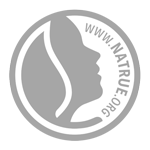 Certified natural by NATRUE, free of synthetic preservatives, fragrances, colorants, and mineral oils. Arnica Montana Flower Extract helps soothe tired muscles. 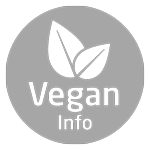 Free from synthetic fragrances, colourants, preservatives, or raw materials derived from mineral oils. Arnica used in Weleda’s NATRUE certified natural products is sourced from our spotlight partnership in Romania, where we’re pioneering the sustainable procurement of plants. Under the shower, wash all over. Follow with a warming massage with Arnica Massage oil, helping to prevent tenseness, fight post-workout soreness and keeping the muscles feeling warm and relaxed. Caution,put a small amount in your hand, or too much will end up to use,Found this out from experience.Too much comes out with a normal squeeze. Wonderful product, love it!!! This stuff is AMAZING!! I received a free bottle after a charity event and this is the only body wash that leaves me feeling 100% clean and refreshed. Not to mention the smell is great and completely gets rid of any odor left after working out. Can't wait to buy more!